Beauty malfunctions- they happen to the best of us, NBD. But when they do occur, they are a big deal. Trust me when I say I am the queen of malfunctions and accidents. I can’t go anywhere without smudging my makeup, breaking a nail, snapping my only hair tie, or getting food stuck in my teeth. After way too many uncomfortable experiences walking around with hair in my face or a blister on my heel, I’ve learned how I can prepare myself for pretty much anything. These are the items that I stuff into a little pouch and stash in my purse no matter where I’m going or what I’m doing. This explains why I never carry a clutch, even with the fanciest of evening wear, it’s because I have my little emergency kit just in case. 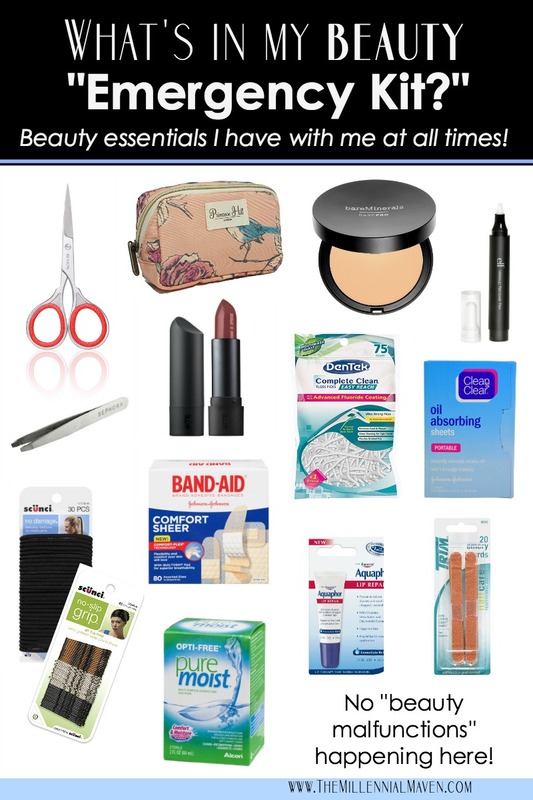 Take my recommendations, plus add a few of your own for a perfect beauty emergency kit that will always have your back! First thing: a cute bag // Because you won’t want to use your emergency kit, and much less carry it around, if the bag itself is fugly to look at. Ziplock bag? That’s not cute. I like changing out my bag every once in a while to keep things interesting. Look for something compact so it won’t be too much of an intrusion in your purse. Recently I’ve been using this bird printed pouch, and I love it! Perfect size and super cute. Tweezers // Got a splinter? Grab the tweezers. Spot a stray mustache hair? Grab the tweezers. Need help grabbing something small? You get the idea. Pick up a great pair of tweezers, put it in your beauty emergency kit, and let it live there. No more shuffling your regular tweezers around and always wondering where the heck they ended up. Personally, I’v been a Sephora Collection tweezer loyalist for years. Powder foundation in a mirror compact // I get rather oily throughout the day, so I like having a powder I can use for touch ups. I like powder foundations because they add back some of the coverage that scurries away throughout the day. Choose a powder foundation that is not too heavy, yet provides decent coverage for when you sprout a pimple in the middle of the day. And of course, make sure there’s a mirror included. “Goes with everything” lipstick // I toss whatever lip product I’m wearing for the day in my purse for the most part, as we all do. But sometimes I forget, or I left the house with minimal makeup and now I want to spruce up a little bit. I always keep a neutral lipstick on hand for these occasions. 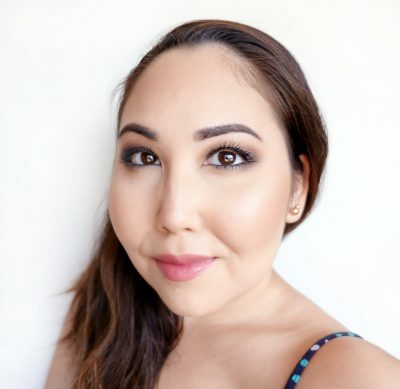 The shade Pepper from Bite Beauty is just dark enough to look put together, but isn’t so shocking that it’s inappropriate for daytime. Whether I’m wearing exotic eye makeup or no makeup at all, Pepper looks perfect. Moisturizing lip balm // My lips get so dry throughout the day. Then they get itchy, flaky, and red (not in a good way.) Seriously, they’re like the surface of Mars. Aquaphor is the only lip balm that heals my lip situation and doesn’t make it worse. It’s like magic. If you struggle with dry lips and your regular fruity lip balm isn’t doing it for you, you need to try this! Something for makeup malfunctions // Smudged mascara, running eyeliner, lipstick outside the lines, whatever the issue, this will fix it. 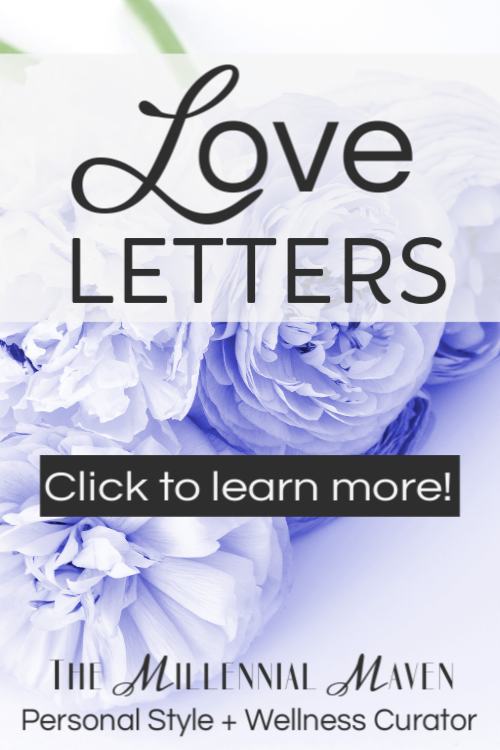 The E.l.f. Makeup Remover Pen works well in a pinch, and the marker tip doesn’t make a mess like a bottle of liquid makeup remover would. for $3, I buy them by the handful and keep them basically everywhere. 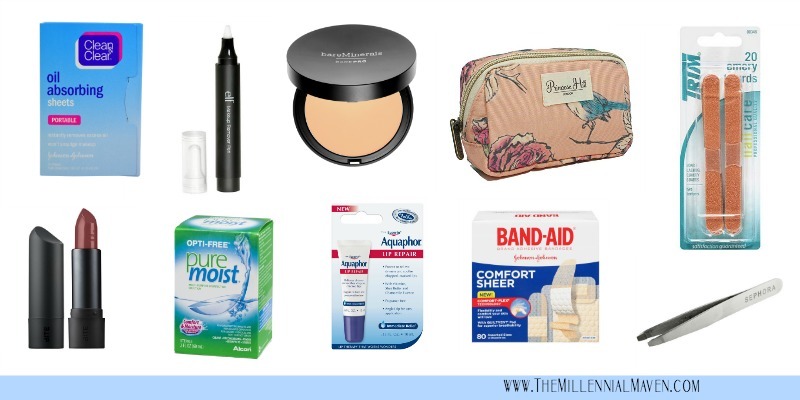 A beauty emergency kit must have! Blotting sheets // Like I said, my face oils get a bit out of control as the day goes on. In addition to my powder foundation, I use disposable blotting sheets to mop up any cakiness-causing oil. (Yes, I’ve heard of the Blotterazzi, but I’m not quite on board with that just yet.) I like the convenience of the slim packaging and the fact that you don’t have to wash them all the time or risk unimaginable bacteria growth. Call me old fashioned, but I’m sticking with these for now. Miniature “good for everything” scissors // When have you not needed a pair of scissors? I use them for trimming stray threads off my clothes, opening snack packages, and trimming eyebrow hairs that refuse to stay in place. You just never know when you’ll need to cut something. When you need it, you’ll be so happy to have it. I’ve been using this pair from Revlon since 2012, and they’re still going strong! Disposable nail files // What’s the most annoying thing in the world? Say it with me. Torn-fingernails-catching-on-everything-and-snagging-your-clothes. Yes, that’s it. I always carry inexpensive nail files to nip those annoying snags in the bud. These little emery boards are perfect because they’re about as small as they come, and not to mention they are super inexpensive. Assorted Bandaids // I’m accident prone. It’s no secret. Just knowing I have a few bandaids with me brings me endless comfort. It’s almost like how you feel alone in the world without your cell phone, even if most of the time you don’t have any emergency that warrants you really needing it. That’s how I feel about bandaids. Come on, these take up no space. No excuse not to have them. Hair ties & bobby pins // Hair ties get lost or break, a lot. Don’t be that person who is miserable all day because you don’t have one. I keep a stash of about 5 hair ties on hand at all times. While we’re at it, bobby pins make great easy accessories if you need to dress up your ‘do in a pinch, so I stash a few of them too. Contact solution + an extra case // I wear contact lenses, so this is a no brainer for me. But, I like having it around even when I’m not wearing my contacts. So far I have not found any kind of eye drops that don’t irritate my eyes or make them even drier than they started. I use contact solution in lieu of eye drops and it works great. Whenever my eyes dry out or I get flakes of mascara in them, I drop in a little bit of contact solution and all is well again. If all else fails and I need to remove them, I have an extra case handy. Floss picks // Food stuck in your teeth wins as the most un-cute thing you can possibly have going on on your face. My favorite floss picks are easy to carry around, and they’re hygienic. No dealing with a toothbrush in public or using your fingers with regular string floss. I mean, ick. RECENT ADDITION! A small container of sunscreen // This one is super important for summertime, and especially for you ladies that live in equatorial areas. Sometimes you just ever know where the day will take you. Even if you don’t plan on being outdoors in the sun, you might very well be. After a recent spontaneous adventure that led to an epic sunburn, I’m keeping a small tube of sunscreen on hand at all times. I like transferring my favorite sunscreen into a travel-sized bottle so I have just enough, without taking up too much space in my beauty emergency kit.